Hello, friends!! I hope your week is going lovely so far. 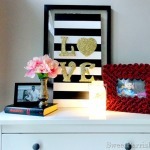 I am SO thrilled to be contributing my first guest post over at Wayfair today as a Wayfair Homemaker! Today I’m sharing all about how to create your own garden in a small space; using a pallet! Our backyard is definitely small, and while I love growing veggies and herbs all summer, we don’t have the room for big raised planter beds and pots everywhere. 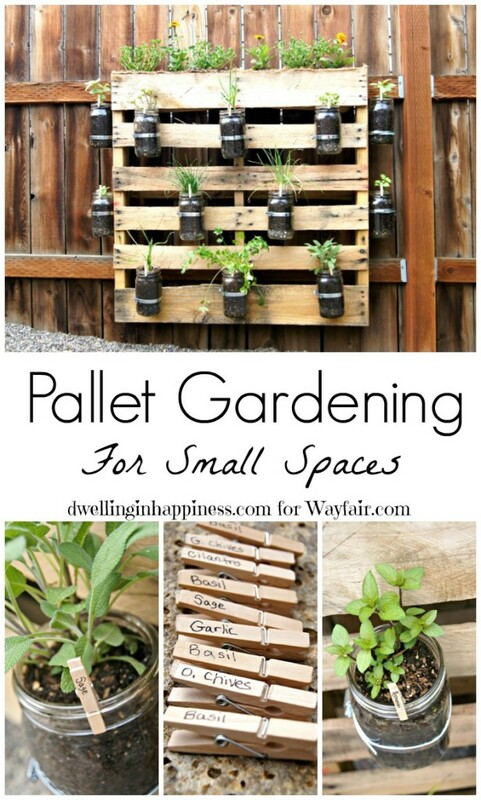 Pallet gardening for small spaces was the perfect solution! 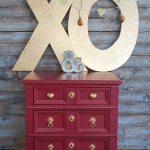 Head on over to the Wayfair blog to read all about how I easily put it all together! There was a palette laying by the trash dumpster at the kids school for a week and I should have asked if I could take it. 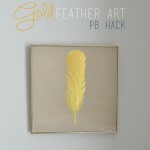 I love all of the palette projects I have seen and this one is such a great summer project! Those glass mason jars make the perfect planters! So cute! Ahh yes you totally should have taken it!! We had the pallet I used laying the garage for months. I’m so glad I finally found a use for it! There are SO many fun pallet projects out there, I want to do more! 🙂 Hope you’re having an awesome week! Such a neat idea! Perfect for having fresh herbs on hand and it’s so pretty too! Great project, Amanda! 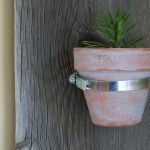 Good for small gardens AND hiding ugly fences. :0) I have a couple of pallets sitting in the garage…perhaps I’ll make one or two of your pallet gardens? Thanks for sharing! First of all, congrats of on being features on Wayfair! That’s amazing- what a great store. Secondly, your post is perfect! My husband literally just finished rebuilding a part of our fence a few minutes ago, and I’ve already been thinking about all of the ways I could beautify it without taking up more room in our yard. Looks great, and I think I could pull it off with different types of flowers. Thanks again! Congrats on your new role of contributing for Wayfair. That’s awesome! Great project too!